Sorry Malcolm, but I think it's a case of you not getting the full picture. Not being sarcky, I think the picture you are looking at has been cropped, somewhere along the line. 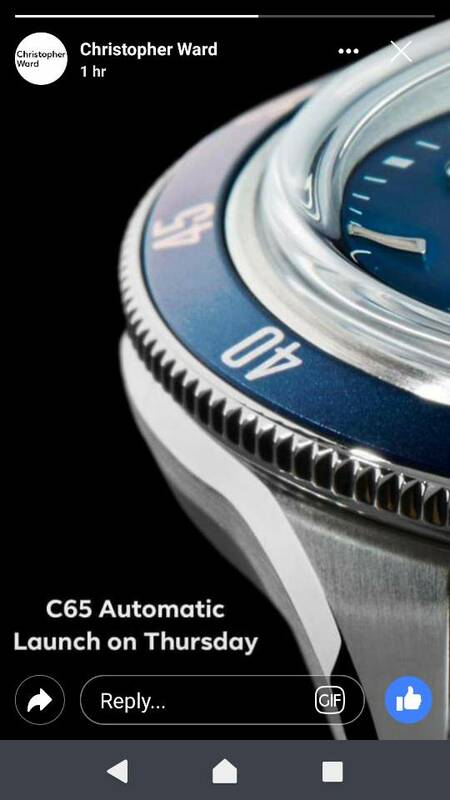 I’m sure it’s wishful thinking to think that dial and bezel are a deep navy blue color, but a guy can dream, can’t he? Man, that looks good! I’m so tempted by the black version either in bracelet or the light tan leather they feature. But I’m trying to wait until the Trident MK3 comes out too. Expletive deleted! Looks good. Thanks for the link Bident. The light tan strap (oak vintage leather?) looks like a winner. This will go on 2019's CW list along with the Pepsi GMT, Mk 3 Trident and the Apex diver. Could be an expensive and expansive year so I might have to learn and exercise restraint. Either tha or gice the credit card to the better-half. My first impression is positive. The date window on the blue dial at the beginning of the video has a white background and black numbers, whereas on all of the pictures at the end, the date window has a black background and white numbers. I think the black background with white numbers is probably correct as that is what was on the advertising material shown at the Edinburgh GTG. I didn't even notice that Malcolm...good eye! Hopefully this won't be another controversy like the Ombre having red text in the advertisements but the actual time piece having white. I think I have the same dilemma as many in the forum: too many options between the C65 Auto, black or blue, the C65 GMT in the blue or pepsi, and the new C60 (and I would assume the new C60 would also have a GMT version). Decisions, decisions. And it definitely has the blobs! It seems the blob/baton applied indices are taken from an older C60 dial face (current C60 300 quartz face). The embossed twin flags motif looks great. Maybe because it is only a 'draft' yet to be given a proof reading before formal publication, as part of the C65 Auto photos on the CW website? Great video, apart from the typo. Normally I prefer battons to blobs, but this once looks really good. I hate the logo at 9, but the rest of the package looks so good I could even forgive that and make it my first lefty-logo piece.